It may not seem like it, but the Ferrari 458 is starting to show its age when compared to its competitors’ newest models like the Huracán and 650S. It’s conceivable then that this white stallion prancing around in the snow might be the 458’s replacement. 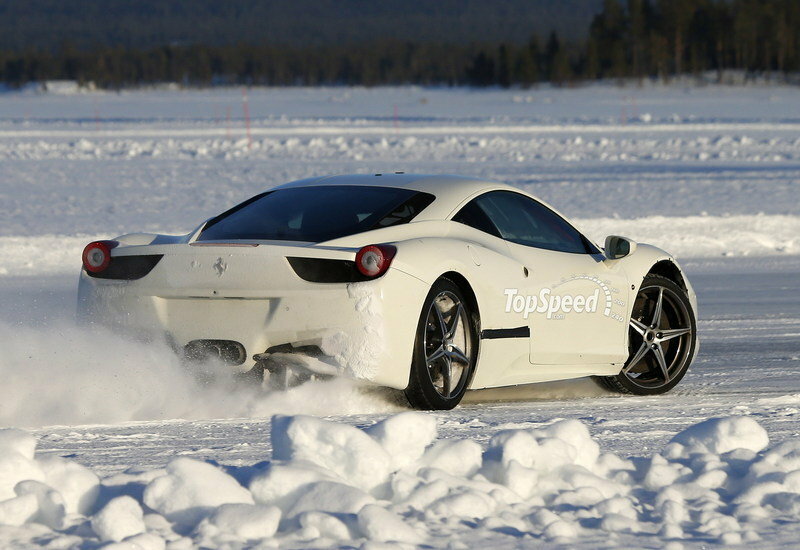 Caught drifting around snow banks in Northern Sweden, this Ferrari test mule is definitely helping develop something. The first and most noticeable thing are the front fenders. It looks like some engineer needed more room to mount snow tires, so a Sawzall was used to open up the wheel wells. Around the side, black tape seems to be holding body panels together just forward of the rear tire. We’re not too sure what’s going on here, but Ferrari certainly has something up its sleeve. We suspect the 458’s replacement would generate more power than the current car and matching, or more likely, exceeding the 610 horsepower from the Lamborghini Huracán and getting close to the 640-horsepower output of the McLaren 650S. 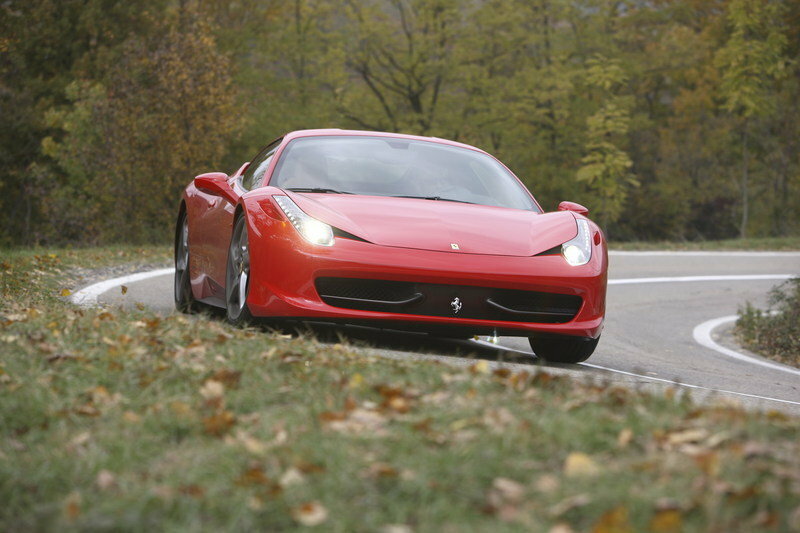 A dual-clutch transmission is an inevitable return, and could either the be same seven-speed unit the 458 currently has or perhaps Ferrari is working on a unit with more gears. Only time will tell. This does seem to be a very early prototype in the 458 replacement program, given it’s the first one photographed and its body panels are ill-fitting. Keep posted to TopSpeed for any developing information. 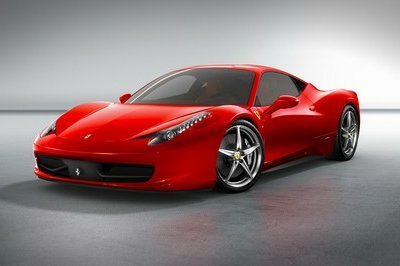 Click past the jump to read more about the Ferrari 458 Successor. 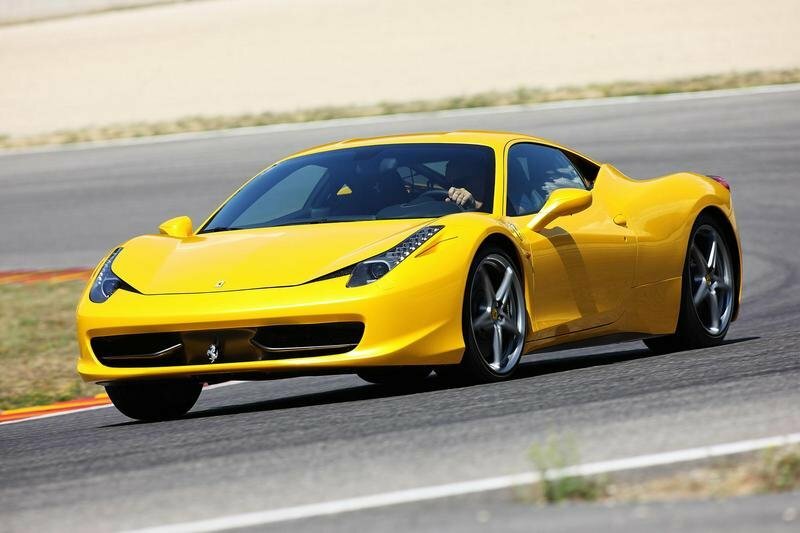 The 458 first saw production as a 2009 model and took the sports car world by storm with its beautiful looks and powerful 4.5-liter, V-8 engine making 605 horsepower and 398 pound-feet or torque (in Speciale form). 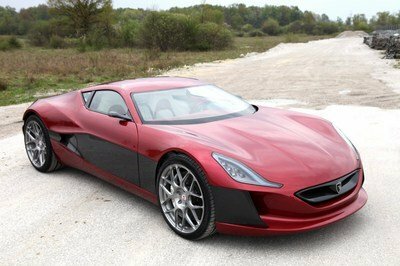 Its performance matched its good looks, taking only 3 seconds to hit 62 mph and 101.7 feet for the massive brakes to pull it to a stop again. 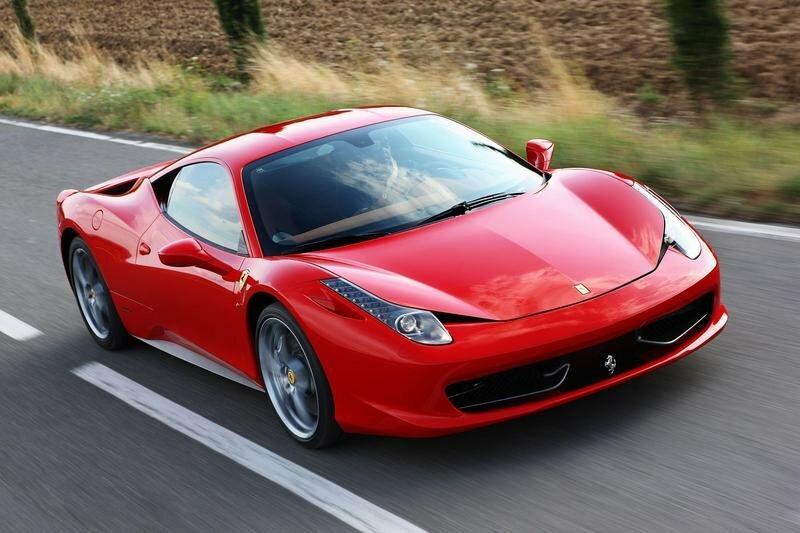 Ferrari lists the 458’s top speed at an impressive 202 mph. Pricing for the 458 starts at $234,000 for the base Italia, grows to $257,000 for the Spider, and tops out at nearly $300,000 for the Speciale form. 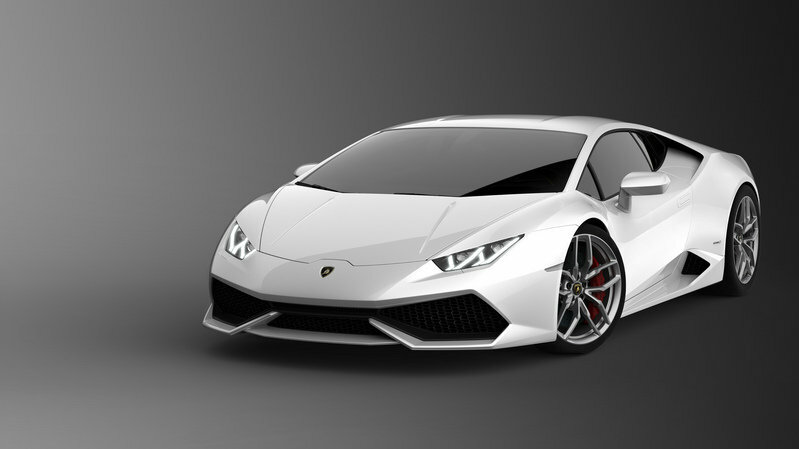 All new for 2015 and replacing the Gallardo is Lamborghini’s latest offering, the Huracán. 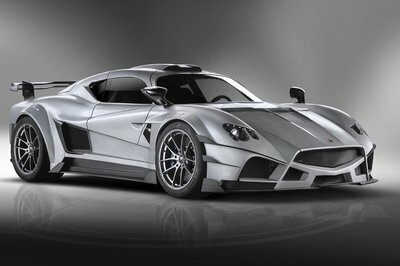 With many more creature comforts in mind, Lambo built this car as a competent cruiser as well as track killer. 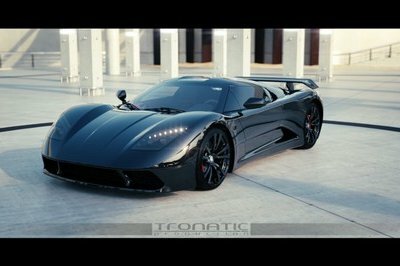 A 5.2-liter V-10 churns out 610 horsepower and 413 pound-feet of torque to all four wheels, giving the car an impressive 0-60 mph time of three seconds. With an estimated top speed of 205 mph, the Huracán is a tough competitor, especially since it’s one of the newest supercars on the block. That alone give the Lambo the current advantage. Pricing for the Lambo hasn’t been released, but we expect a light bump up from the Gallardo’s $260,000 starting price. 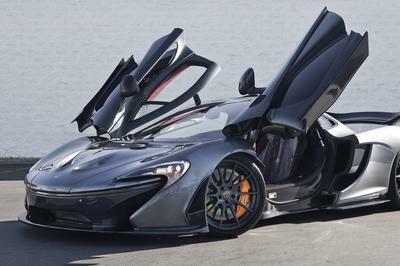 Also an all-new car for 2015, the 650S puts McLaren squarely in competition with the current 458. The McLaren is more powerful, coming in at 640 horses from its 3.8-liter V-8, so we’d bet this is where Ferrari will be aiming with the 458 replacement. 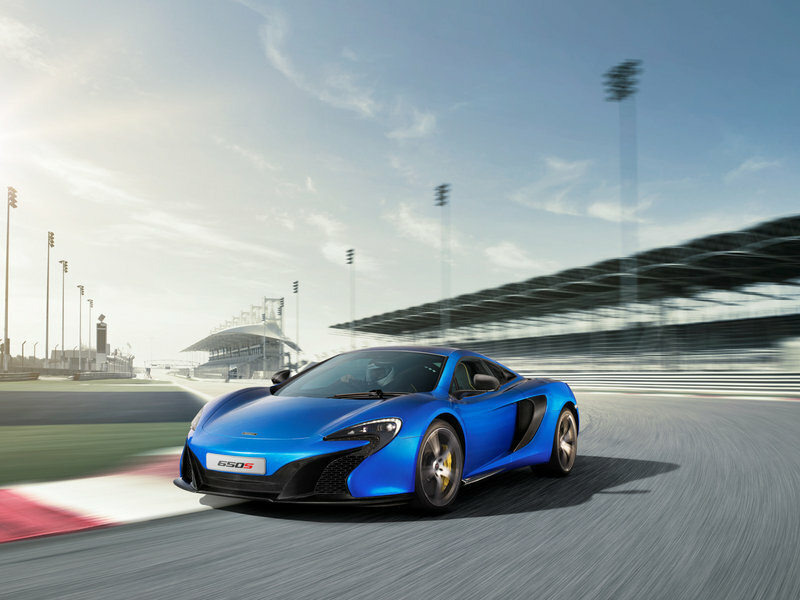 A seven-speed dual clutch transmission puts the 650S’ 500 pound-feet of torque to the ground smoothly for a similar 3.0-second blast to 62 mph. Since numbers in this category of car matters, the 650S beats out the other two in terms of top speed with its 207 mph limit. Pricing for the McLaren starts at $265,500 for the 650S Coupe.